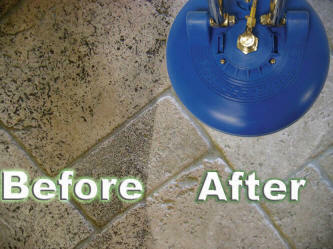 ​Tile floors should be the neatest part of your home - not a mucky breeding ground for mold and bacteria! Get them so sanitized that they'll sparkle with today's Deal floors should be the neatest part of your home - not a mucky breeding ground for mold and bacteria! Get them so sanitized that they'll sparkle with today's Deal: $150 for 300 Square Feet of Tile and Grout. From bathrooms and kitchens to storage or outdoor areas, you put in tiles for one reason: you want things to stay clean. Unfortunately, humidity and other factors can often get them looking rather gross. A little bit of regular maintenance every now and then is the key to keeping them in great shape, so take this opportunity to perform some. With quality equipment and expertise, these guys will get to work on any surface in need of attention. It'll sparkle in no time and you can feel that much better about your well-maintained home! Stop putting it off and spruce up your space.